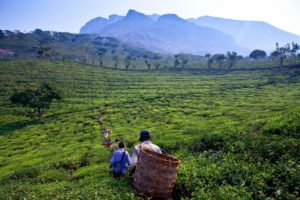 Collecting data at source while weighing the tea leaves or tracking sundry work on a real time basis by the right personnel who are involved has been a challenge. Despite this difficulty, operational managers need much better information than they are having now for improving the production and productivity. To achieve this objective, our solution aims at availing existing mobile and cloud technologies that can be implemented in a scalable and sustainable manner . This eliminate buying expensive proprietary handheld devices with limited functions. Our system uses all new features of the smart phone to help you capture all types of data including images.The data collected in the mobile is sent using data plan/WiFi on demand. This means one can transmit the data any time to the cloud when the users have connectivity. The solutions uses smart phone or tablet to capture data and reports are available in PC, tablet and/or smart phone to all authorized users . This completely eliminate the need for any computers in the division office for field data collection and need for personnel to process the data at division offices. Weighing: Collect tea leaf weight data from Ganinimobile scales automatically. 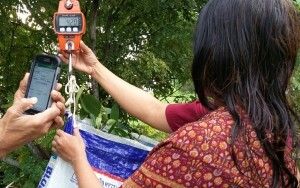 We can collect weight from other third party scales too. One can also transfer data through OTG pen drives to smart phone and upload to Web portal through our Android AgilerMe program.